Turkey Day can mean travel plans. If you’re heading out you probably need something to read on the train or plane, so I’ve compiled some suggestions. 1. 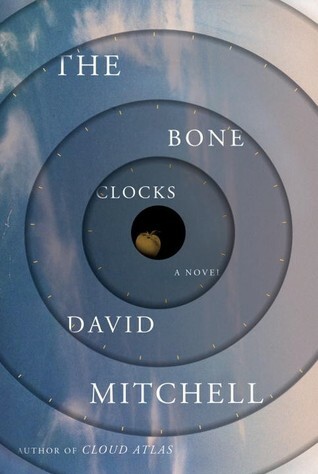 I really liked Cloud Atlas, so The Bone Clocks is high on my list. David Mitchell bends time and genre with the best, so I’ll be interested to see how he does it with his new novel. Has anyone read it yet? 2. The Goldfinch is a long book filled with gasp-worthy writing. By ‘long’ I mean in a good way – this novel will take you right through the weekend and beyond, if you spend Friday working the sales. The main character steals a beautiful painting after a bomb goes off in a museum, setting off a long series of events and a downward spiral. It’s a lovely book, perfect for Thanksgiving if you don’t mind Russian thugs and Vegas shenanigans. 3. Cress, by Marissa Meyer. I really enjoyed Cinder, although Scarlet fell a bit flat. However, I’m fascinated by the idea of Cress, the hacker queen sequestered on a satellite. And if you haven’t read Cinder, the steam / cyberpunk version of Cinderella, go and pick it up. It’s touching, exciting, and romantic. 4. I’m a Murakami freak, so I’ll definitely pick up Colorless Tsukuru Tazaki and His Years of Pilgrimage. 1Q84 was just okay (definitely very long – probably 400 pages too long.) This seems a return to the days of Norwegian Wood, with less magic and more musings on reality and sadness in the style the author does so well. 5. Tad Williams’ Otherworld. I’m rereading the entire series since I enjoyed it so much the first go-round. It’s even better the second time. If you like plausible future with ethnic characters and lots of virtual reality, you’ll love Otherworld. Since turkeys are filled with tryptophan, that sleep-inducing chemical, a movie or two after the big meal will coast you right into a nap. 1. My first recommendation is the Captain America movies during the most American of holidays. Marvel can be over-the-top, but the Steve Rogers series focuses on friendship, love, and the meaning of heroism. Plus the kids will be happy with the selection, so – winning. 2. Silver Linings Playbook – When this came on Netflix I bit my nails through the film, thoroughly invested in the characters and their little daily dramas. The ending made me whoop and laugh out loud. 3. I know it’s an oldie, but Frequency is one of my favorite films of all time. It’s about reestablishing a relationship, one severed by tragic death, through a quirk of nature that allows a homicide detective to reconnect with his dead father. Exciting and emotional, my husband stood up in our living room and cheered at several points. Cheered! 4. Pieces of April – Probably the quintessential Thanksgiving movie. My sister keeps bugging me to see it, and I’m ashamed to say I haven’t watched it yet. So, PoA is on my list this November. 5. The Blind Side – I keep telling myself I won’t sniffle as I watch this feel-good film about a rich family adopting a kid from the projects, but I always do. The real-life photos at the end always, always get me. This bio of right tackle Michael Oher delivers football, family, and oh yes – a Thanksgiving dinner. I’m certain I’ve left out a lot of favorite books and movies for the media marathon. What else would you recommend? I am reading Goldfinch right now. I am about 100 pages in and so far, I love it. It is so good. Bone Clocks has been on my TBR list forever. Hopefully I can get to it soon. I have heard good things.